A lot of ghost stories are awfully vague and parsimonious with their details. A spirit of some sort has been seen, it's vaguely dressed in some sort of clothes, and may be related to a distant tragedy that there is no documentary evidence of. Not so with the story of El Muetro, the headless horseman of South Texas. The story is notable for its detail. The headless horseman was a Mexican bandit named Vidal. The year was 1850. Vidal was rustling cattle across the San Antonio River. 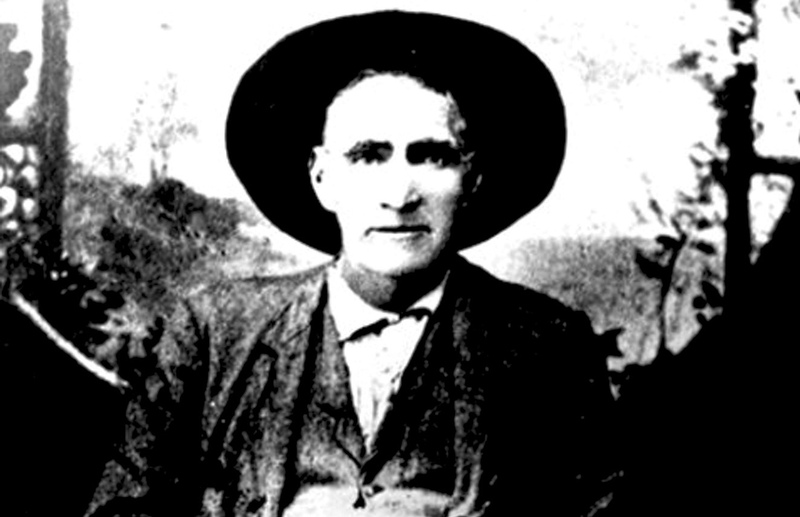 He was caught by Texas Rangers, found to be in possession of some of their prized cattle, and executed. Then, as a warning to other bandits, the Rangers beheaded Vidal. They set his body on a wild bronco and lashed his head to his saddle. They then set the horse and its hideous rider free to wander. It wandered further and longer than it should have. Terrified witnesses fired at the body, and Indians fired arrows into it, but it continued to ride until ranchers caught the horse at a watering hole in Ben Bolt, Texas. The body was buried. And yet it continued to ride — soldiers at Fort Inge reported seeing a headless rider, and the spirit, now dubbed El Muerto, has been seen ever since. We even know the name of the men who killed and decapitated Vidal: Creed Taylor, a Ranger, relative of General Zachary Taylor, soldier, and one of the main characters in the notorious Sutton–Taylor feud, and William A.A. Bigfoot Wallace, a Ranger and hero of the Mexican-American War who was famous for once having eaten 27 eggs. Now, that amount of detail is practically a challenge to find historical evidence, but tone of the only published sources for the story is a book called "Tall Men With Long Rifles" by James T DeShields, which purports to be based on actual interviews with Creed Taylor, but is historically suspect. Nonetheless, the story did inspire a novel from 1866 called "The Headless Horseman" by adventure writer Mayne Reid, which enjoyed enough popularity that Vladimir Nabokov authored a French translation when he was just 11 years old. The legend has proven to be enduring: On October 7, 1971, the Dallas Morning News published an interview with a former Minnesotan-turned-Texan, Grover Cleveland Ramsey of San Antonio, who claimed to know the location of Vidal's grave, two miles west of Ben Bolt, Texas. I have read claims elsewhere that Vidal was buried at the La Trinidad Ranch, which actually does have a graveyard on it. It doesn't show up on any maps, which seems like it is as it should be, but one supposed an interested party could go to Ben Bolt and ask around. I reckon if there is a headless ghost riding a horse in the area, and a grave that holds his body, somebody in the vicinity probably knows about it.